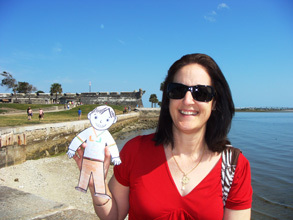 Flat Stanley visits the Castillo de San Marcos in Florida. This fort was constructed in the 1600s out of tiny ground up seashells, otherwise known as coquina. Start collecting, because who knows what you can build!